After my second trip to try to figure out how to be admitted here, I again feel a little defeated before I’ve even attended a single class. Mission San Antonio de Padua, Monterey County, CA. Mission San Antonio de Padua is the third mission to be built in California along the El Camino Real, in 1771. Located in the Santa Lucia Mountains, along the Coastal Range in southern Monterey County, this mission is considered the most remote and isolated in the chain. 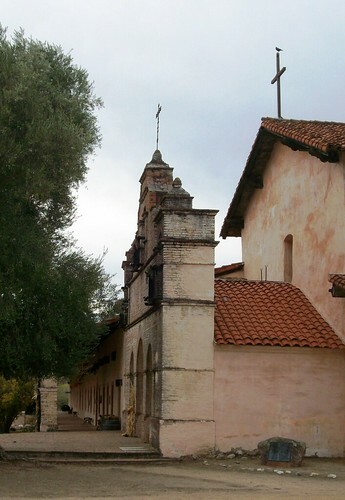 More than twenty miles from the nearest major town (King City), Mission San Antonio de Padua is located on the grounds of Fort Hunter-Liggett, and required passing through a military checkpoint to visit. After falling into disrepair following secularization in the nineteenth century, the mission has painstakinglhy been reconstructed to its former glory, and houses an active monastery. 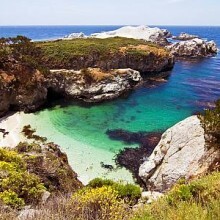 In part because of its isolation, this mission is perhaps one of the most interesting and beautiful in California. In addition to the chapel, there is a museum, gift shop, courtyard garden, and historical displays. Mission Tours entry, with lots of pictures. November 25, 2007. Photo #19 of 103.